The Alamo is one of the nations most recognized landmarks. It brings thousands of visitors from around the world to San Antonio making it our crown jewel. 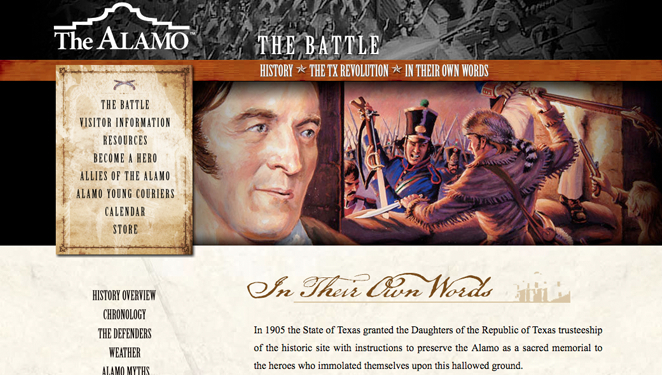 The Alamo deserved professional site and I had the challenge to make it happen. The site was not just to a cool looking website, it had to be very easy to navigate and download quickly. With thousands of visitors to the website everyday it also had to be in an environment to handle a ton of traffic without skipping a beat. 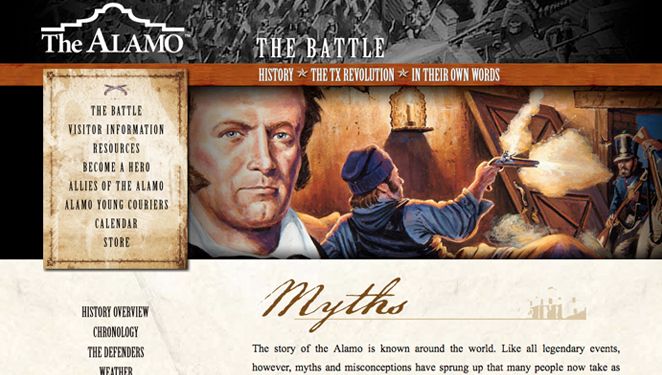 I worked with Albert Flores and put together a design that captured the essence of the Alamo while bringing a clean professional level of imagery to the site. Our original goal was to incorporate video with avatars guiding you through the site, however the footage needed to be reshot before we could incorporate them in the site. 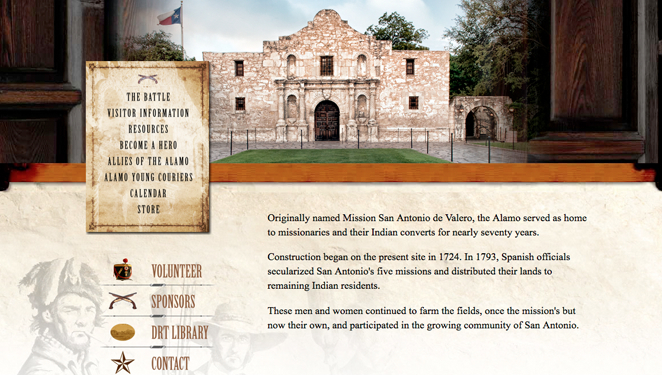 The Alamo deserved nothing but the best and we did not want to put anything but quality work on the site.